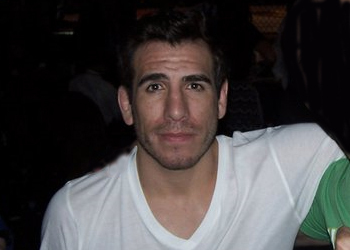 This past October, Kenny Florian (Pictured) contemplated retirement after dropping a unanimous decision to featherweight champ Jose Aldo at UFC 136. Although the 35-year-old decided two weeks later he would resume his career in the lightweight division, it appears a back injury may now force the popular UFC veteran to hang up his mixed martial arts gloves once and for all. Florian recently revealed to The Boston Herald that he herniated a disc in his lower back while weight training this past November and his condition has failed to improve. “I’ve kind of been going back-and-forth with some of the doctors, so it’s possible,” Florian expressed. “I’m going to see. As of right now, obviously I can’t compete and train like I was at all. I’m just kind of doing what I can and hoping that things heal up and get better. I’m just kind of in a holding pattern. That’s why I decided to do this commentary for the time being and take this next six months to really heal up and try to make some money on the side. The former ESPN2 “MMA Live” co-host is now a member of FUEL TV’s weekly “UFC Tonight” show. KenFlo is also in the running for the highly-coveted color commentator spot alongside Jon Anik on the UFC’s second broadcast team. While Florian’s first choice is to continue competing inside the cage, the pain in his back and tingling in his right leg have caused an orthopedic doctor and a neurologist to suggest retirement. Even if his fighting days are over, UFC president Dana White previously professed Florian will always have a home with the promotion. Florian owns a 14-6 professional record, with 12 of his wins coming by way of devastating finish. “The Ultimate Fighter 1” runner-up fought for a UFC title on three occasions and came up empty on each attempt.